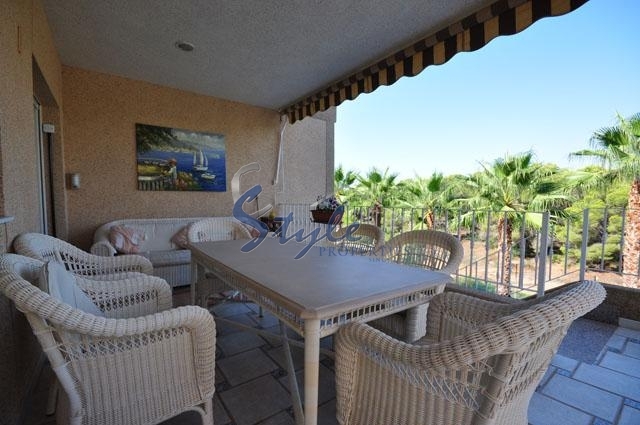 The House is located in prestigious area of Campoamor, near the wonderful sandy beaches. In the area there are private villas and townhouses surrounded by pine groves. Clean air, proximity to the sea, combined with an excellent infrastructure make this place ideal for your vacation and for living all year round. Bars, restaurants, supermarket, bus stop – all within walking distance. In Campoamor you will find the best offered by the coast Yacht Club, fitness centres, health care and much more. Just a 10 minute drive to Torrevieja town centre, at the same distance, but to the South are the famous centers of Thalassotherapy. The excellent quality of the highway makes easily accessible the major historical centres of Murcia, Alicante, Cartagena, and the international airports are just a half house drive. 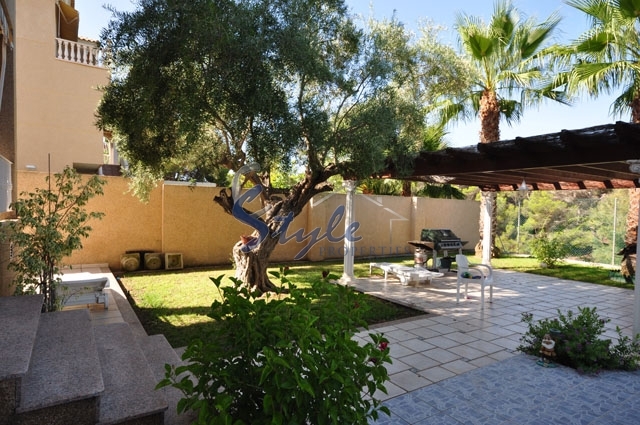 The Villa stands on a fenced plot of 800 m2 with private garden and swimming pool. 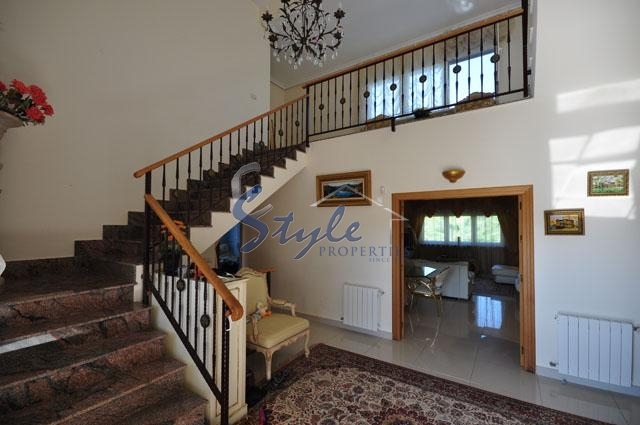 In house large living room, lounge, hall, 5 bedrooms, 4 bathrooms, kitchen with appliances and electric appliances, patio and a large terrace with a view of the pine forest and the sea, as well as a garage for 2 cars with a WC. The Villa is equipped with high quality furniture, central heating (diesel), perimeter alarms, aluminum shutters, water purification system.